Many producers of meat alternatives dream of occupying a place among animal products in the supermarket. I mean, literally. They want to be sold where the meat products are sold, instead of in a separate vegan section. 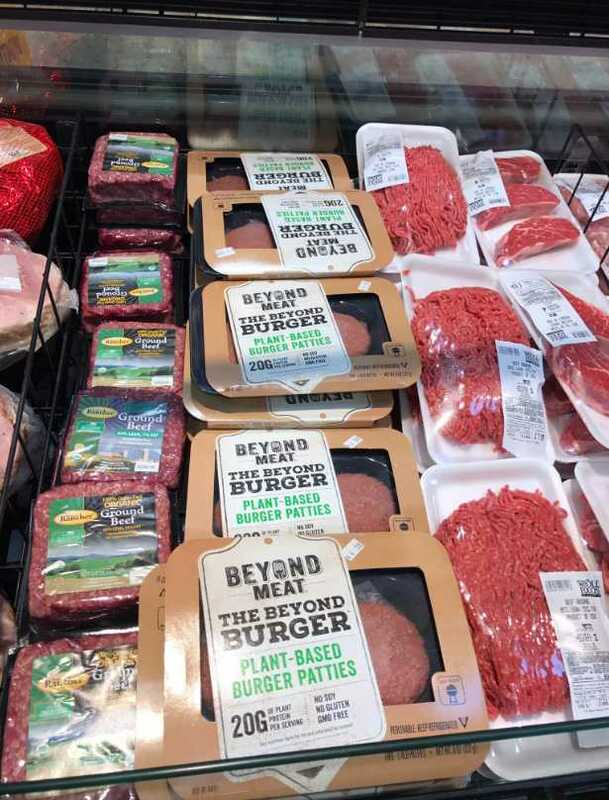 Apparently, judging by this picture, Beyond Meat managed to get this coveted position with their Beyond Burger. Not every vegan may agree that the meat section is the best place for vegan products. Out of a personal preference, vegans may want the vegan products to have their own separate shelf, aisle or island. And there are many more examples of exclusively vegan things. Vegan cruises, a vegan version of airbnb, vegan radio shows, vegan schools, etc. You can ask yourself whether you are more pro-Island or pro-Infiltration. Let’s briefly look at some general advantages and disadvantages of both phenomena. The advantage of Islands is clear. They are cosy and convenient for vegans. If we’re on a vegan cruise, we know we’ll get good vegan food, and everyone else on the cruise is vegan or at least veg-curious. Using a vegan cookbook, we are not confronted with pictures of recipes with dead animals in them (which, obviously, are also useless to us). Eating in a vegan restaurant, we know the chefs and waiters know what vegan is, and that there is no chance of anything “wrong” ending up in our food. But the advantages of Infiltrators are just as clear. While Islands mainly benefit the vegans, Infiltrators are important for reaching new audiences and buyers. Infiltrators get much more exposure among omnivores, many of whom will never enter a vegan restaurant or specialty shop, and will never buy a vegan cookbook. They also will not go out of their way to find and stop by the vegan section in their supermarket. When I asked on Facebook where the Beyond Beef (and other) products should be in the supermarket, many people answered they should be in both sections. Apart from this probably being difficult to realize (as far as I know, producers pay for shelf space), we also shouldn’t underestimate the impact of us going to the meat shelf and picking out a vegan product in front of other people. The best predictor that a beggar in the street will receive a gift from a passer-by is that the person walking ahead of them dropped something in their hat. The same applies here: the more people see other people picking up the vegan products, the more they might be more inclined to take a look, buy and taste them. Maybe you’ve experienced how often omnivores seem to think that just because something is vegan, it is not for them (kind of like how ordinary vegans might be deterred from choosing a dish labeled “suitable for diabetics”). The problem today is still that vegan stuff is seen as stuff for vegans. So often, media articles, reviewing a new vegan restaurant, product or service, write something like: “Now, vegans can…” or “Now, there is x for vegans!”, as if it’s only vegans who can profit from it. We need to get rid of the idea that vegan is just for vegans. Infiltrators help counter this idea; Islands are often likely to confirm it. If you are thinking of setting up some service or selling a product, you can consider whether you want to launch an Island or an Infiltrator. Chances are that as a vegan, you will feel much more comfortable with Island products and services, but the question is whether that is the most impactful. But also as a consumer, you may consider what you want to spend most of your money on: the vegan restaurant or the vegan dish in the omnivore restaurant, for instance. Again, eating at the vegan restaurant is more convenient. But ordering the vegan dish in the omnivore restaurant signals that there is a demand, offers opportunities for conversation, for critiquing the dish so that the chef can improve it, etc. You also help keep the dish on the menu, increasing the chances that more people will be exposed to it. That is, of course, not to say we should stop visiting vegan restaurants or other vegan businesses. On the contrary, they deserve our support. Moreover, Islands may have a symbolic function. They say, “Look, we can do it without animal products and still be viable”. They also may have media value: they may be covered by journalists, because they are new and exciting. At least for the time being, we’ll have both Islands and Infiltrators. You choose where your money goes. I hope to have given you some arguments to use to think about your options more thoroughly. Although I love shopping at Island style set ups because I am a vegan I applaud the Infiltrator for the good it does to help those not yet vegan consider moving in that direction. I am currently launching my own new business, vurbanite.com, which will sell only vegan apparel accessories but I put in my goals and business plan to always appeal to vegans and non vegans alike in order to move our cause forward. Now I know what to call this concept – Infiltrator – and I thank you for this article! Great stuff, Tobias. As usual, the question is: is it about us and our veganism, or is it about reducing as much suffering as possible? Great article Tobias. The problem with islands are non vegans who are totally foreign to the food of vegans think that the island of products is all there is to eat. They don’t even consider that the whole vegetable department is vegan or the legumes in with the soup mixes are vegan or there everyday bottle of sauce is vegan. All they see are at a lot of the time, is over priced product from companies they don’t recognise. The quicker veganism goes mainstream and that includes infiltrating the quicker we will end animal suffering. Don’t think vegetables, legumes and plant-based sauces are “vegan” – omnivores eat them all, always have. In the UK ommivores who wouldn’t dream of eating a Beyond Meat burger, would eat a meal made of potatoes, beans and a plant-based sauce (chips, baked beans, tomato ketchup) without thinking about it. The problem is *vegan* food – foods people link to vegans (like the much maligned tofu). You need to move right away from any vegan-signalling. The Beyond Meat burgers nestle amongst the beef. In the US, of course, meat consumption has been growing – but don’t worry because products like Beyond Meat will help to turn that tide. Should the US meat industry worry? Well, at the moment they are rather pleased with how much beef they are exporting to China. Meanwhile, the Brits are happy that they are going to be exporting beef to the US. Well….you have to start somewhere. I think it would be interesting experiment….though I doubt it will last. I’m sure they have to pay an arm and leg for such placement. Start-ups can do all sorts of costly marketing ploys when they are being fueled by investor dollars……but things change when they have to survive on their own revenue. I’m not a fan of these fake meats from a strategic perspective because they re-emphasize a meat-based dietary culture and people always prefer the “real thing”. Fakes are typically only purchased for economic reasons….but fake meats are usually more expensive so its really just food for vegans, yuppies and dieters. But apparently legume farmers aren’t big sponsors of vegans…….so fake meats get all the attention. Earlier this year a survey of vegans in the UK was published (by Mori, partly financed by the Vegan Society). It found that the numbers of vegans had increased. It also found the following – young (15 – 34), and suburban/urban (22% London). The first thing that jumped to my mind was – hipster. The survey also find a significant gender difference. Roughly double the number of women to men. I don’t think it would be completely outrageous to wonder if your “dieters” weren’t lurking here. There’s a kinda tangled history between concern about weight masked as concern about health, pressure on young women, orthorexia, and veganism. As for price – I don’t know how much those burgers cost. I do know that in the UK you can buy barbecue chicken wings very cheaply in takeaways. But I suppose the market that those burgers are aimed at don’t mind spending more – yuppies/hipsters. This distinction is really just a vegan concern….if you take incrementalism seriously then there is absolutely no reason to focus on “vegan products”. Whether people reduce their intake of meat etc by eating some “vegan products” or non-vegan products with less meat makes no difference. And since the “vegan product” is typically expensive and less familiar…..its only ideological vegans that would emphasize it. Incrementalism in terms of less meat actually being consumed isn’t the issue here. The issue is “vegan critical mass”. 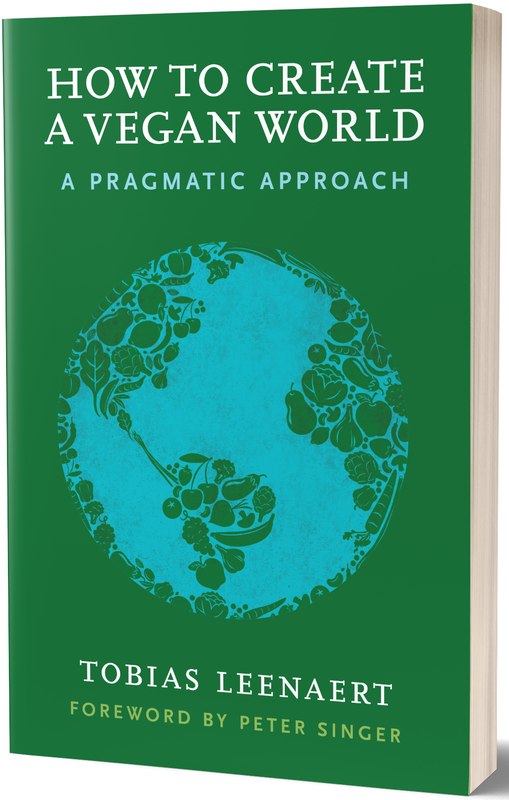 Island or infiltrator is about how it might contribute to that ultimate vegan critical mass. What (US)Americans are actually doing – eating more meat – and what the US is a actually doing – exporting more meat – is inconvenient fluff while the placement of those burgers is something worth thinking about. You have to start with the following premises – 1) veganism is the answer; 2) veganism can be spread to encompass a large, if not majority, percentage of the population. You then never critically analyse those premises to see how they actually stand up. Yes…but some do pay lip service to incrementalism but then continue to emphasize “vegan” products. Even if we assume that “veganism is the answer” its not clear why you’d want to promote vegan products/meals in today’s society. Vegan restaurants, vegan options at non-vegan restaurants, etc are really just a concern for vegans since they are the only people that insist on only eating vegan things. They don’t seem to have any clear strategic merit in terms of a society wide shift away from meat, etc. Ultimately I don’t think vegans are taking incrementalism seriously….even when they talk about it they are still trying to create vegan converts…..just slowly. Its incremental conversion. Are you kinda saying there needs to be unambiguous low meat/ no meat omnivore stuff. Ditch all the vegan signalling. A Beyond Meat burger may appeal to, as you have said, vegans, yuppies and dieters, why does it have any appeal to mainstream, omnivore culture? One of the commenters above talks about the vegetable section being vegan. Vegetables are not vegan – omnivores eat vegetables. Omnivores infact can eat everything vegans eat. But what many omnivores may not rush to eat is food that has been “veganised” – food that gives off signals saying “I’m vegan”. And that’s because vegan is a subculture separate from omnivore culture. Yeah….and the separation is problematic if you’re trying to move society. The usual vegan perspective seems to be, more or less, that you’re going to get people to eat less meat by providing them fake versions of the foods they know and love. But this assumes that the fakes are nutritionally equivalent to the real thing and that they are just as or more tasty than the real thing…yet neither are typically true. This plan hinges entirely on whether food engineers will be able to create equally tasty, nutritious and healthful replacements…..and even this doesn’t guarantee anything. But until that happens…..I’m not sure why anybody would put much energy into this idea. What you really want is people to think differently about meals and the nature of meat in their diet…..but fake meats just re-emphasize the role of meat in meat-oriented diets. One advantage of islands is that it could make veganism seem easier to the vegan in transition. One of the biggest requests I get is ‘What can I eat and where can I find it?’ A vegan island solves this problem quite efficiently. Of course we need infiltration as well. Both are necessary. Yes Jo, it really is not which concept versus each other, both concepts are equally useful, one should not override the other, they both serve the vegan ideal. Most vegans or want to be vegans shop for other people, reminders or products where they have to buy the bad stuff helps their buying as much as that helps the meat eater think of the other options. I don’t think I ever put much thought into this before now. As I’m mainly the one who does the shopping, I try to avoid all meat and attempt to lessen the amount of dairy I buy. This is because meat, the thought of what it actually is, is kind of disgusting to me. So I really am thankful that what little meat alternative products my grocery store does carry, gets stocked in islands. Because for me, if I was forced to take a trip through the meat section, I think I’d feel almost offended; at the very least I’d feel annoyed. But I also remember this older (in age) friend of mine telling me about how she and her husband were buying vegan cheese for the longest time without realizing it. I guess they didn’t have too much of a problem with it. I’ve also cooked vegetarian meals (with a meat substitute) for potlucks without anyone seemingly the wiser. So I guess there is an increased chance of say, the accidental vegetarian/vegan product purchase with infiltration. Outside of that I don’t know how much of an impact infiltration would have on the typical omnivore. They are either open to it, in which case they’ll visit the island when they are ready or they are dead set against it no matter where it’s at in the store. Plus seeing the price difference side by side might be even more of an incentive NOT to buy the substitute. Perhaps these products might be seen to have more legitimacy if placed next to meat, but I’m not sure it’s worth the trade off to force all the vegans through an aisle filled with what amounts to wrapped animal carcasses just so maybe a few people accidentally grab the plant-based burgers. I know I’m late to this article, but a UK supermarket has recently announced a change in their product placement, to stock vegan/vegetarian alternatives right next to their omni counterparts, taking away the islands and making the vegan products infiltrators. thanks yes, caught that too. interesting.